Review of Ken Wilber, The Marriage of Sense and Soul: Integrating Science and Religion New York: Random House, 1998. 225 pages. Index. Ken Wilber has earned a deservedly high reputation in the field of “transpersonal” philosophy, which is the study both of aspects of consciousness that transcend the personal psyche and of aspects of reality that transcend the physical/material plan. The basic argument of his latest book, The Marriage of Sense and Soul, can be summarized in the following way. Because mainstream religions contain beliefs for which no empirical evidence can be adduced, many scientists are understandably skeptical about the truth value of such beliefs. Were scientists to follow the practices developed many centuries ago by enlightened people from various traditions, however, they themselves would undergo spiritual experiences of the kind that inspired the founders of the great religious traditions. Such experiences, which take place through the “eye of contemplation,” confirm that “reality” includes, but transcends the limits of the spatio-temporal or material plane. 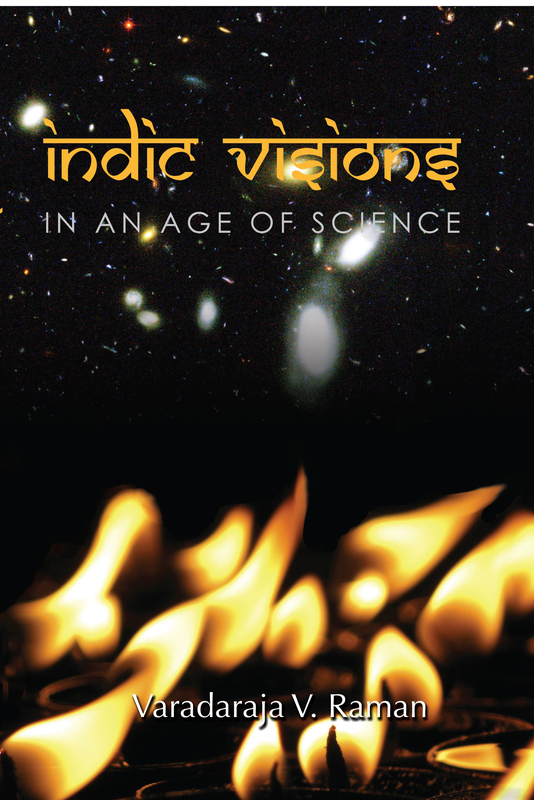 The key to reconciling science and religion is for religion to give up its attachment to non-verifiable beliefs, and for science to give up its attachment to the notion that truth can only result from using the “eye of [scientific/rational] mind” to investigate material phenomena. Because the eye of mind can establish truths only about the material plan, Wilber does not hold out much hope that modern cosmologists and quantum theorists will “find God” through rational justification. In this respect, his approach runs counter to the one found in much of the current literature seeking to reconcile science and religion. Instead, he maintains that scientists can obtain the empirical evidence that they require for “belief” in God, only by following practices that make use of the eye of contemplation. Wilber’s effort to reconcile science and religion, to which I shall return in a moment, occurs within the context of an ambitious effort to “reenchant” the world by reconciling the ancient concept of the Great Chain of Being with the modern differentiation of science, morality, and art. According to the Great Chain of Being, which is the core of all premodern religions, there are four major levels of reality: spiritual, archetypal or soul, mental, and sensory. With the advent of modernity, Western intellectuals denied the spiritual and archetypal levels, and affirmed that only the mental and sensory levels exist. As Wilber points out, the modern West represents the first great civilization to jettison the top levels of the Great Chain of Being, by proclaiming the death of God and the absence of soul. A high price has been paid for this decision, as can be discerned in the widespread sense of personal/cultural meaninglessness and a corresponding thirst for spiritual sustenance. Unfortunately, this thirst is often slaked either with ill-informed New Age ideas or with reactionary ideologies that do not sufficiently appreciated the achievements of modernity. Modernity has itself to blame for these reactions against it, however, because all too often it has overemphasized the difference between mind and matter, sometimes to the point of dissociating them. The ecological crisis may be understood in part as a symptom of such dissociation, in which nature is revealed as nothing but raw material to be exploited by the cognizing subject. Despite criticizing the “dark side” of modernity, Wilber is one of its most effective defenders. Opposing radical environmentalists who call for a return to premodern nature-worship, postmodernists who proclaim that all truth claims are simply perspectives that enhance the power of those making the claims, and holists who propose to replace an alienating atomism with an all-embracing systemic wholeness, Wilber insists that modernity has brought incalculable benefits-scientific, technological, political, economic, social, and personal–by differentiating among three domains that are not differentiated in premodern cultures: science, morality/politics, and art/subjectivity. In premodern culture, establishing and defending truth are not independent enterprises, but instead are inextricably related to political and religious authority, as Galileo discovered in the sixteenth century. Moreover, individuals are not free to develop their own aesthetic taste and subjective preferences, but instead must conform themselves with communal practices that are in turn consistent with prevailing religious beliefs. Modernity’s nobility lies in the fact that it differentiates among science, morality/politics, and art/subjectivity, which Wilber labels “the Big Three.” Modernity encourages scientists to find the truth, no matter what the consequences for religion; insists that people have a major say in how they are governed; and proclaims that individuals may discover and develop their own personal preferences, without interference by state or church. Having paved the way for material prosperity, political democracy, and individual liberty, however, modernity took a wrong turn when one member of the Big Three, science, asserted that only its mode of knowing–rational-empirical inquiry–was really valid, while denigrating the modes of knowing characteristic of morality/politics (dialogical, intersubjective) and art/subjectivity (personal, subjective). Wilber argues that empirical science is monological, in the sense that it arrives at truth claims by investigating material objects that have no voice of their own. Indeed, the reason that empirical science cannot “find God” is that such science fails to acknowledge the reality of interior phenomena, including personal subjectivity, the third member of the Big Three. Moreover, empirical science cannot reveal anything useful about the second member of the Big Three, morality and politics, for these involve dialogical processes, in the sense that different voices are involved in the effort to arrive at truth. Like Jürgen Habermas, Wilber concludes that science has become a kind of “scientism” that colonizes the world of everyday life and transforms political decisions into technocratic ones. “not by deforming any of them to fit some sort of pet scheme, but by taking each of them more or less exactly as they are. There is no need to force science into some sort of “new paradigm” that will then supposedly be compatible with spirituality. The very attempt is a massive category error, a profound confusion about the nature and role of monological science, dialogical philosophy, and translogical spirituality” (141). 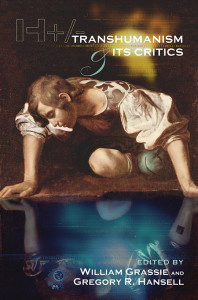 According to Wilber, a sense of the spiritual dimension, which he calls translogical, arises in the very process by which participants in each of the Big Three recognize that their particular way of knowing-monological, dialogical, personal-has no claim to validity beyond its own particular domain. For example, by recognizing that there are interior phenomena which cannot be studied with the eye of mind, scientists are forced to admit the potential reality not only of worlds accessible through personal reflection and social dialogue, but also through the eye of contemplation. In an attempt to show how modernity and premodernity can be integrated, Wilber indicates how each aspect of the Big Three can be manifest at each of the four major levels of the Great Chain of Being. 3) communal confirmation or rejection of truth claims associated with the results. 3) communal confirmation or rejection of truth claims associated with the result (experienced practitioners validate truth claims). If someone wants to become an experimental physicists, he or she must undertake arduous, long-term practical and theoretical training. Without such training, a person is simply not in a position to contest, much less to understand, the truth claims made in connection with observing the results of following experimental injunctions. Analogously, if someone wants to become a spiritual adept, he or she must undertake arduous, long-term practical and theoretical training. Without appropriate training, a person is simply not in a position to contest, much less to understand, the truth claims made in connection with observing the results of following such injunctions. Consider that in the world of mathematics, some proofs are so complex that very few people can judge whether they are valid. The activity of such judgment involves undertaking certain internal experiences that seek to replicate other internal experiences, namely, those of the person who came up with the proof. Non-experts, which would include the vast majority of humankind, are in no position at all to evaluate the proof’s validity, but instead must rely entirely on the trustworthiness and competence of those few who are capable of carrying out and evaluating the proof in question. Similarly, someone who has not followed spiritual injunctions for a couple of decades is in no position at all to evaluate the validity of truth claims made by someone who has followed those injunctions. “[S]cience approaches the empirical world with a massive empirical apparatus containing everything from tensor calculus to imaginary numbers to extensive intersubjective linguistic signs to differential equations-virtually all of which are nonempirical structures found only in interior spaces-and then astonishingly claims that it is simply “reporting” what it “finds” out there in the “given” world-when, in fact, all that is given is colored patches” (146). “Religions the world over will have to bracket their mythic beliefs, beliefs such as Moses parting the Red Sea or Lao Tzu being nine hundred years old at birth….Instead, each religion needs to focus on those aspects of its tradition that were disclosed by its own deep science of the interiors, whether the contemplative prayer of St. Teresa of Avila, the yoga of Patanjali, the vision quest of tundra shamanism, [etc. ]…” (203). For scientists to take religious claims seriously, those claims can’t be unverifiable and dogmatic, but instead must in principle be capable of verification. 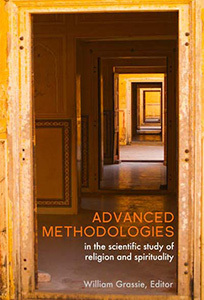 For religious people to take scientists seriously, scientists must be willing either to accept the empirical findings of spiritual adepts or else to engage in spiritual practices, the results of which would provide the experiential basis needed for scientists to move beyond a strictly materialist cosmology. By aligning themselves with a verifiable process of discovering the truth, and by bracketing unverifiable and thus dogmatic truth claims, religious people would not only make their views more appealing to scientists, but would also encourage the integration of world religions, which are often kept apart by adherence to mythic beliefs for which no verification is possible. The Marriage of Sense and Soul is well written, engaging, and full of insights that give the reader a taste of Wilber’s encyclopedic intellect. 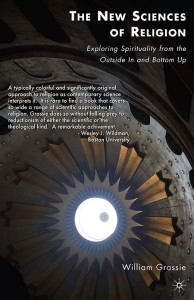 Wilber’s approach proves very appealing to me, but whether this book will have a significant impact on the current efforts to reconcile religion and science remains to be seen. Some problems stand in the way. For one thing, although Wilber’s approach to integration is not unique to him, it is not in step with contemporary efforts focusing on areas such as the interface of themes in cosmology and theology. Wilber himself thinks such efforts will be fruitless, since the parties involved usually do not distinguish between eye of mind and eye of contemplation. This attitude will hardly endear Wilber to leading figures in contemporary discussions! For another, Wilber is too optimistic about what scientists and religionists are willing to do. Scientists would have to give more than a little, were they to engage in spiritual practices and to forsake allegiance to a materialistic cosmology. 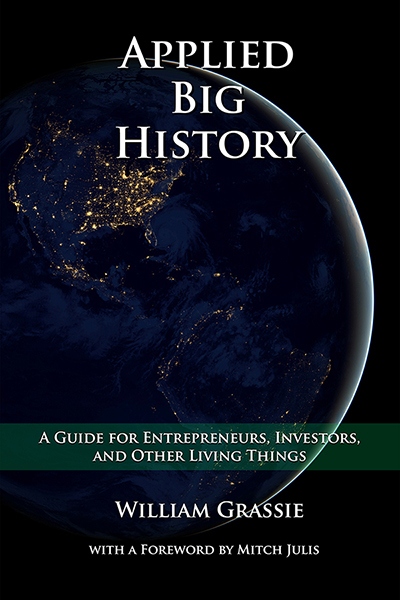 Moreover, religionists would be making more than “modest compromises,” were they to give up beliefs that went beyond the kind that Wilber mentions, so as to include the Virgin Birth, the status of the Jews as the Chosen People, and a host of other unverifiable beliefs that are central to the world’s great religions. Wilber claims that followers of those religions can take back all those beliefs after exploring the deep truths discovered by their own founders, truths that presumably make deep ecumenism possible. The difficulty, however, lies in convincing people to bracket those truths, even temporarily. 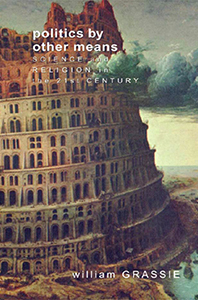 Despite such reservations, I highly recommend this book to anyone interested in the integration of science and religion, not least because Wilber does such an excellent job of clarifying the bones of contention between adherents to modern science, on the one hand, and premodern religions, on the other.